I’ve written recently about my problems with luggage addiction. I started with laptop bags, moved on to duffle bags and weekenders, and now I want to have a look at backpacks. I absolutely love this military-inspired pack. It’s unbelievably tough and well made. 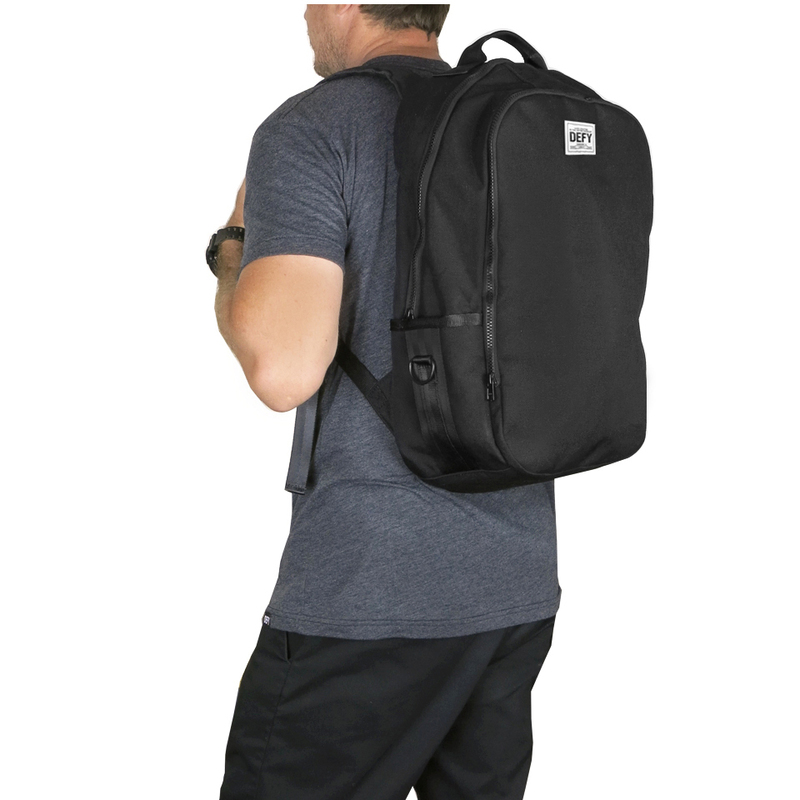 This backpack is just large enough to take on an overnighter and makes for an easy carry on with a really well protected laptop sleeve. This bag is my main carry at the moment. In fact, it’s replaced my beloved Waterfield Cargo laptop bag on most of my trips in the last 6 months or so. The reason for that is that I just really enjoy having hands free when I’m getting on and off planes and around the place. Made of 1000Denier CORDURA® – the preferred material for Special Forces rucks due to its strength to weight ratio and durability. High stress points are strength tested at over 400 lbs. YKK zippers with silent, glove friendly zipper pulls constructed from gutted parachute 550 cord (gutted to reduce bulk). Holds up to a 17″ MacBook Pro or 3 liter hydration bladder (not included) with hydration tube exit port found under the top handle of the ruck. Weight: 3.20 pounds (1.45 kilograms). This is what I’m coveting next. This is the bigger brother to the GR1 that I’ve got at the moment. It would be perfect for longer trips. I think it’s still optimised for carry on, but it could handle pretty much anything. This is the kind of pack that I could travel the world with. 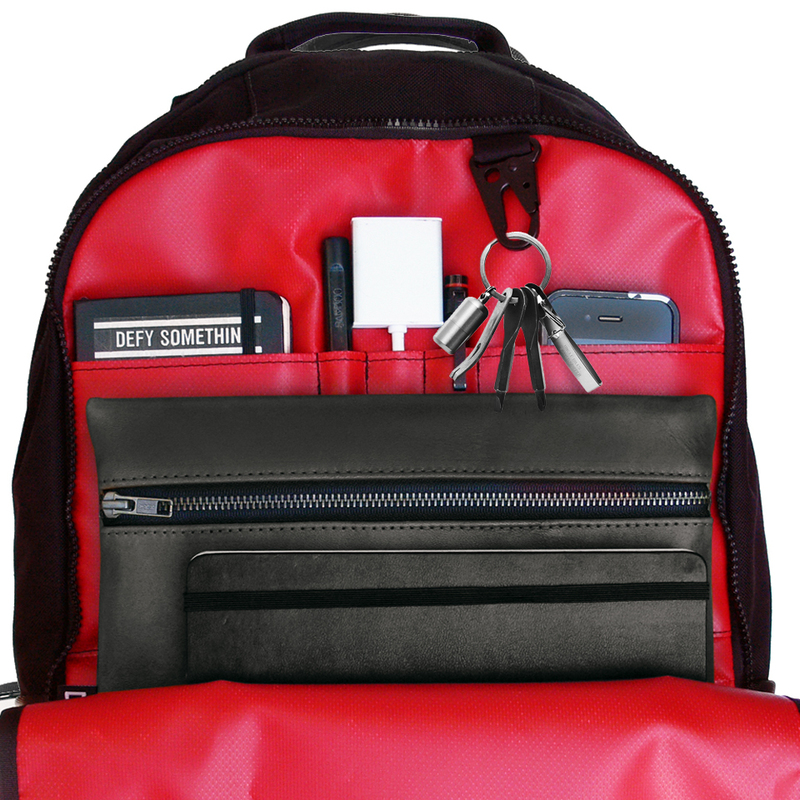 And black… I’ve no idea what the carabiner is for, but I need one of those too. Currently, I stuff pens in the military MOLLE webbing in my GR1. I don’t own this pack, I just like it. You’ve got to love the gorgeous interior… like an expensive sports car… It looks great and I know it will be high quality if it’s anything like the other Defy bags that I own. Padding is closed cell foam technology on entirety of computer section, bottom of bag, & back. This is another one I don’t own, but I’d like to. It looks like an extremely well thought out and serviceable carry on backpack.